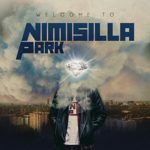 Welcome to Nimisilla Park is the product of more than two decades of pain, misery, divorce and wandering in the desert until “reconciliation and renewal” of their original mission brought former D.O.C. (Disciples of Christ) founders to come back together under the new moniker – Nimisilla Park. The band has chosen to use this name as it was the name of the park they hung out in growing up in Canton, Ohio. 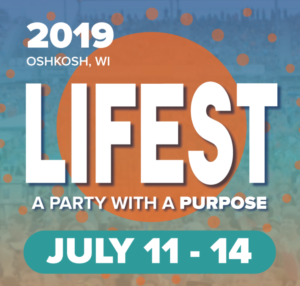 The new album has a nostalgic hip-hop and rock soundtrack and some clearly unapologetic lyrics that reflect their new-found passion for God’s calling on their lives. In “Ode to Jeremiah,” they speak of how this passion “burns” in their hearts. In “Snitch” they sing forcefully and unapologetic about sharing the gospel message that’s changed their own lives so much. One of my favorite songs is “Pour” as it blends their rhyming skills with a very bold soundtrack of crashing drums, guitars and more. It’s just one of many heart-pumping songs on the album. It is a cool album. Its lyrical clarity is a plus in my book, but for the more poetry-centered hip-hop fan it may not be as pleasing. It’s good middle ground with its gospel focused message. Check out https://www.nimisillapark.com/ for more on Nimisilla Park. Bifrost is a Virginia based musical collective of worship artist. 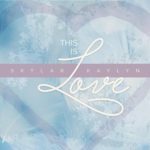 The new album is just one piece of a ministry that is designed to equip the church with powerful and vertical worship music. I believe that the independence from the normal “artist” model gives them an advantage when it comes to songwriting. The focus is more on who the lyrics are about rather than who is singing them. A few of my favorites are “Rise Up,” as the vocals on this song are complimented by a tender piano tune. Then there is the organ based “O God Will You Restore Us.” A contemporary song that is accompanied by a subdued organ sounding soundtrack. 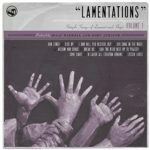 Lastly, the more acoustic “In Labor All Creation Groans.” These are just a few of the songs that stood out, but overall the whole album is so unique that each track stands on its own. Overall I love the tranquility of the soundtrack and the upward focus of the lyrics. For more on Bifrost check out the Gospel Song Union link below. 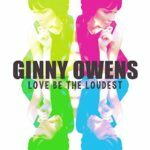 In case you missed it, Ginny Owens jumped back into the CCM world again in late 2016 with “Love Be the Loudest.” Albeit with a more up-tempo pop soundtrack, but amazing non-the less. This new style comes very natural for an already stellar song-writer. The new album is also chocked full with guest artist; Ellie Holcomb, Mike Weaver, Andrew Bergthold, Meredith Andrews, Andrew Greer, and All Sons & Daughters). That’s an impressive list of friends to have at your side when diving back into the fold. The heart of the album centers around Owens’ personal journey and her struggle with self-confidence. It is easy to beat ourselves down and let worry creep in and negatively impact our quality of life. That’s why the message of “Love Be the Loudest” is so important. Hearing the voice of God over all the junk in this world takes perseverance and faith. It is an incredible story and I am happy that she returned to the studio to share it with us. Check out this news release for more information (http://alphaomeganews.org/media/?p=623). I have always been impressed with the unique style of synthpop that Todd0 has used on his recordings. In the past I’ve compared it to the likes of Joy Electric which goes way back in CCM. It’s a very progressive sound that’s invigorating and thought-provoking. By bluntly addressing his personal failings, Todd0 has managed to hit on several hot topics that we all struggle with. Whether it’s confronting the idols in our lives in “Everybody Wants to Be a Rock Star,” to the truth of character revelations in “Time,” it is difficult not to feel a bit of self-conviction in the lyrics. It’s amazing how we convince ourselves that we’re “ok” and we can handle things, but eventually our sin is brought to the light – “I Knew That I’d Get Caught.” And then there’s the general hollowness of apologies without true repentance – “Sorry is a Stupid Word.” Apologizing is a good place to start, but without repentance and conviction we’re apt to hit replay on our destructive behaviors. “My Precious Limp” has spoken to my own shortcomings in many ways and it has driven home the absolute necessity of a Christ-centered focus in life. 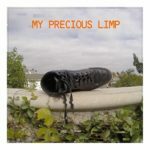 If you’re interested in hearing “My Precious Limp” (and more), check out http://www.toddzero.com/. What a beautiful album. I absolutely love the classic hymns and Assad sings them so eloquently that it just about brings me to tears. I can’t speak of the original versions and I am usually not a big fan of a redux, but I think it is worth it to hear the new arrangements in this case. 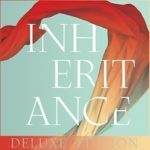 They give the album an overall reflective and lofty tone. Referred to as the “Fox Sessions” the deluxe version contains at least four new recordings; “Be Thou My Vision,” “How Can I Keep From Singing,” “New Every Morning,” and “It Is Well With My Soul.” If you own the original I would suggest checking Amazon or iTunes for the new recordings.